Illustrations note XVIII, 316 p.
Overview: Introduction to High-Functioning Individuals with Autism; G.B. Mesibov, E. Schopler. Diagnostic Issues in High-Functioning Autism; L.K. Tsai. Neuropsychological Studies of High-Level Autism; J.M. Rumsey. Neurological Localization in Autism; N.J. Minshew. A Parent's View of More Able People with Autism; S. Moreno. An Inside View of Autism; T. Grandin. 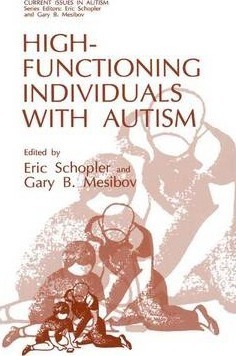 Social Issues: Manifestations of Social Problems in High-Functioning Autistic People; L. Wing. Treatment Issues with High-Functioning Adolescents and Adults with Autism; G.B. Mesibov. Social Perception in High-Level Autism; R.P. Hobson. Educational Issues: Outcome and Follow-Up Studies of High-Functioning Autistic Individuals; C. Lord, A. Venter. Parental Issues and Personal Accounts: Parent Essays; R.C. Sullivan, et al. 3 additional articles. Index.